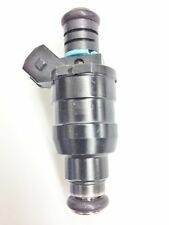 Professionally Remanufactured Bosch Fuel Injectors. Chevrolet/GMC Trucks, 1983-1991 with 6.2L Diesel. Country/Region of Manufacture Germany. Manufacturer Part Number FJ171. Manufacturer Part Number TJ8. Interchange Part Number 17079500, 17110659, 17111276, 17111277, 17111540. Interchange Part Number 217-3140, 19187352, 831-14106. Manufacturer Part Number TJ9. Pontiac Firebird 1982-1983 with 5.0L(Front Injector, Part # 5235368). Interchange Part Number 17078855, 17111545, 217330, 5234255, 5235268. STANDARD MOTOR PRODUCTS - SK57. Fuel Injector Seal Kit. Manufactured with the highest grade materials for prolonged life and superior performance. Engine Components. Subject to the following conditions. STANDARD MOTOR PRODUCTS - FPD32. Fuel Damper Assembly. Manufactured with the highest grade materials for prolonged life and superior performance. Functions - Damper. Experienced Support Team. " class="next">. Manufacturer Part Number FJ8. Other Part Number D1570BA, 621015, 217-3456, CM-4638, FJ708. Pontiac Firebird, 1985-1988 with 5.0L (VIN: F). Interchange Part Number 1570BA, 621015, 217-3456, CM-4638, FJ708. STANDARD MOTOR PRODUCTS - SK3. Fuel Injector Seal Kit. TBI Kits and Gaskets are manufactured with robust material design for prolonged life and improved performance. Engine Components. Subject to the following conditions. STANDARD MOTOR PRODUCTS - SK2. Fuel Injector Seal Kit. TBI Kits and Gaskets are manufactured with robust material design for prolonged life and improved performance. Engine Components. Subject to the following conditions. STANDARD MOTOR PRODUCTS - FPD4. Fuel Damper Assembly. Functions - Damper. TBI Kits and Gaskets are manufactured with robust material design for prolonged life and improved performance. Experienced Support Team. STANDARD MOTOR PRODUCTS - PR243. Fuel Pressure Regulator. Manufactured with the highest grade materials for prolonged life and superior performance. Functions - Regulator. Engine Components. " class="next">. STANDARD MOTOR PRODUCTS - PR347. Fuel Pressure Regulator. Manufactured with the highest grade materials for prolonged life and superior performance. Engine Components. " class="next">. Subject to the following conditions. STANDARD MOTOR PRODUCTS - RY65. Fuel Injection Relay. Manufactured with the highest grade materials for prolonged life and superior performance. Contents - Relay. Functions - Relay. Engine Components. STANDARD MOTOR PRODUCTS - PR15. Fuel Pressure Regulator. TBI Kits and Gaskets are manufactured with robust material design for prolonged life and improved performance. Functions - Regulator. Regulator Finish - Silver. STANDARD MOTOR PRODUCTS - SK36. Fuel Injector Seal Kit. TBI Kits and Gaskets are manufactured with robust material design for prolonged life and improved performance. Engine Components. Subject to the following conditions. STANDARD MOTOR PRODUCTS - SK14. Fuel Injector Seal Kit. TBI Kits and Gaskets are manufactured with robust material design for prolonged life and improved performance. Engine Components. Subject to the following conditions. STANDARD MOTOR PRODUCTS - SK53. Fuel Injector Seal Kit. TBI Kits and Gaskets are manufactured with robust material design for prolonged life and improved performance. Engine Components. Subject to the following conditions. STANDARD MOTOR PRODUCTS - SK102. Fuel Injector Seal Kit. TBI Kits and Gaskets are manufactured with robust material design for prolonged life and improved performance. Seal Type - MFI. Injectors Covered per Kit - 12. STANDARD MOTOR PRODUCTS - PR131. Fuel Pressure Regulator. Manufactured with the highest grade materials for prolonged life and superior performance. Functions - Regulator. Regulator Finish - Silver. Engine Components. STANDARD MOTOR PRODUCTS - FPD21. Fuel Damper Assembly. Manufactured with the highest grade materials for prolonged life and superior performance. Functions - Damper. Experienced Support Team. " class="next">. STANDARD MOTOR PRODUCTS - PR6. Fuel Pressure Regulator. Spot welded internal connections on Standard Blue Streak condensers provide the utmost protection against vibration. Engine Components. " class="next">. STANDARD MOTOR PRODUCTS - 1705. Throttle Body Injection Tune-Up Kit. TBI Kits and Gaskets are manufactured with robust material design for prolonged life and improved performance. Subject to the following conditions. STANDARD MOTOR PRODUCTS - 1527D. Throttle Body Injection Tune-Up Kit. TBI Kits and Gaskets are manufactured with robust material design for prolonged life and improved performance. Subject to the following conditions. STANDARD MOTOR PRODUCTS - SK10. Fuel Injector Seal Kit. TBI Kits and Gaskets are manufactured with robust material design for prolonged life and improved performance. Engine Components. Subject to the following conditions. STANDARD MOTOR PRODUCTS - FPD55. Fuel Damper Assembly. Manufactured with the highest grade materials for prolonged life and superior performance. Functions - Damper. Experienced Support Team. " class="next">. STANDARD MOTOR PRODUCTS - SK89. Fuel Injector Seal Kit. TBI Kits and Gaskets are manufactured with robust material design for prolonged life and improved performance. Engine Components. Subject to the following conditions. STANDARD MOTOR PRODUCTS - PR162. Fuel Pressure Regulator. TBI Kits and Gaskets are manufactured with robust material design for prolonged life and improved performance. Functions - Regulator. Engine Components. Manufacturer Part Number FJ974. Warranty 1 Year. STANDARD MOTOR PRODUCTS - SK42. Fuel Injector Seal Kit. Manufactured with the highest grade materials for prolonged life and superior performance. Engine Components. Subject to the following conditions. STANDARD MOTOR PRODUCTS - SK65. Fuel Injector Seal Kit. Manufactured with the highest grade materials for prolonged life and superior performance. Seal Type - MFI. Injectors Covered per Kit - 1. Engine Components. STANDARD MOTOR PRODUCTS - SK97. Fuel Injector Seal Kit. Manufactured with the highest grade materials for prolonged life and superior performance. Engine Components. Subject to the following conditions. STANDARD MOTOR PRODUCTS - SK91. Fuel Injector Seal Kit. TBI Kits and Gaskets are manufactured with robust material design for prolonged life and improved performance. Engine Components. Subject to the following conditions. STANDARD MOTOR PRODUCTS - HK9. Fuel Injector Retaining Bracket. TBI Kits and Gaskets are manufactured with robust material design for prolonged life and improved performance. Engine Components. Subject to the following conditions. STANDARD MOTOR PRODUCTS - SK73. Fuel Injector Seal Kit. Manufactured with the highest grade materials for prolonged life and superior performance. Engine Components. Subject to the following conditions. STANDARD MOTOR PRODUCTS - PR18. Fuel Pressure Regulator. TBI Kits and Gaskets are manufactured with robust material design for prolonged life and improved performance. Functions - Regulator. Engine Components. STANDARD MOTOR PRODUCTS - SK115. Fuel Injector Installation Kit. TBI Kits and Gaskets are manufactured with robust material design for prolonged life and improved performance. Hardware Kit - No. Injectors Covered per Kit - 4. STANDARD MOTOR PRODUCTS - SK85. Fuel Injector Seal Kit. Manufactured with the highest grade materials for prolonged life and superior performance. Seal Type - MFI. Material - Rubber. Injectors Covered per Kit - 1. STANDARD MOTOR PRODUCTS - AC175. TBI Kits and Gaskets are manufactured with robust material design for prolonged life and improved performance. Experienced Support Team. Suspension & Steering. Engine Components. STANDARD MOTOR PRODUCTS - FPD6. Fuel Damper Assembly. Functions - Damper. TBI Kits and Gaskets are manufactured with robust material design for prolonged life and improved performance. Experienced Support Team. STANDARD MOTOR PRODUCTS - HK10. Fuel Injector Retaining Bracket. TBI Kits and Gaskets are manufactured with robust material design for prolonged life and improved performance. Engine Components. Subject to the following conditions. STANDARD MOTOR PRODUCTS - AC80. TBI Kits and Gaskets are manufactured with robust material design for prolonged life and improved performance. Experienced Support Team. Suspension & Steering. Engine Components. STANDARD MOTOR PRODUCTS - AC59. TBI Kits and Gaskets are manufactured with robust material design for prolonged life and improved performance. Experienced Support Team. Suspension & Steering. Engine Components. STANDARD MOTOR PRODUCTS - AC158. TBI Kits and Gaskets are manufactured with robust material design for prolonged life and improved performance. Experienced Support Team. Suspension & Steering. Engine Components. STANDARD MOTOR PRODUCTS - FPD7. Fuel Damper Assembly. Manufactured with the highest grade materials for prolonged life and superior performance. Functions - Damper. Experienced Support Team. " class="next">. STANDARD MOTOR PRODUCTS - FPD40. Fuel Damper Assembly. Manufactured with the highest grade materials for prolonged life and superior performance. Functions - Damper. Experienced Support Team. " class="next">. STANDARD MOTOR PRODUCTS - PR484. Fuel Pressure Regulator. Manufactured with the highest grade materials for prolonged life and superior performance. Functions - Regulator. Engine Components. " class="next">. STANDARD MOTOR PRODUCTS - 2049. Multi-Port Fuel Injector Tune-Up Kit. TBI Kits and Gaskets are manufactured with robust material design for prolonged life and improved performance. Subject to the following conditions. STANDARD MOTOR PRODUCTS - SK16. Fuel Injector Seal Kit. TBI Kits and Gaskets are manufactured with robust material design for prolonged life and improved performance. Engine Components. Subject to the following conditions.